We should reintroduce natural and manmade systems to enhance raw water security. THE World Water Day, themed “Nature for Water”, was celebrated on March 22. It highlighted solutions that are hidden in the environment to solve our water problems. An increase in human population and economic activities have heightened pollution in water resources. The global threat of water scarcity is a grave concern. Destruction of nature has also contributed to climate change that directly impacts water resources, as well as our ecosystem. Let’s get some answers from nature. Floodplains, freshwater swamps and wetlands have given a simple understanding that the rainwater may exceed normal levels and there are natural ways to contain floods. Containing and releasing slowly is a natural mechanism that prevents flood. When we contain water during the rainy season, we can use it during the dry season to fight drought. Dams have evolved to play multiple roles to solve drought, flood and water scarcity. They are used as a source of raw water that can be converted into drinking water and irrigation for agriculture. They can also be used for generating electricity. Therefore, it is important that the nation preserves the environment that gives us protection from water-related disasters. We should reintroduce these natural and manmade systems to enhance our raw water security. Two types of water cycles are involved in human civilisation. The first is the natural water cycle by the environment. The second cycle is the part where we extract water for our use and discharge the wastewater back to the environment. When pollution load is low, the environment is able to control pollution. Therefore, we need to reinvent our part of the water cycle to ensure that we can reduce pollution loading and achieve pollution reversal in our water resources. 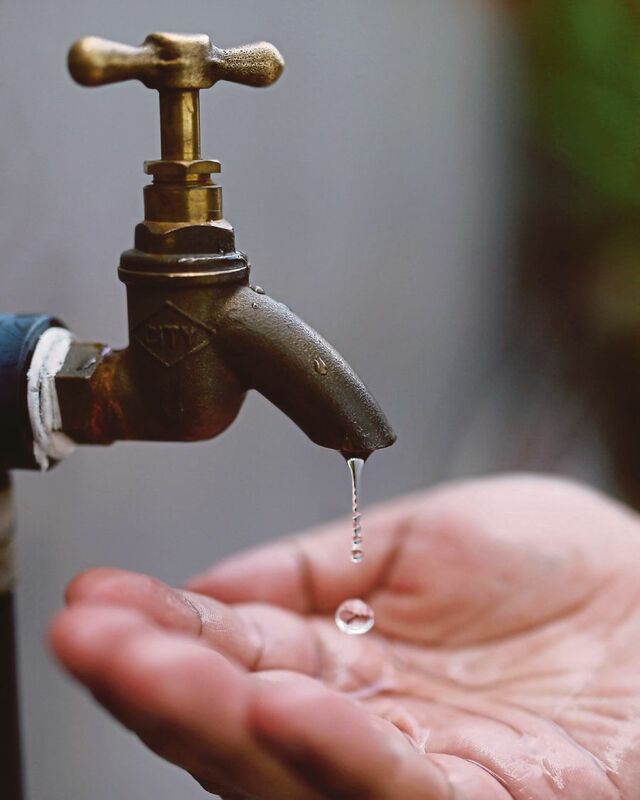 This way, it is possible to reserve more clean water for future generations. Efficiency in consumption of water and resources is important. “Static” efficiency can be achieved by introducing legislation for mandatory labelling and minimum performance, or efficiency standards that can prevent old and wasteful technologies being used locally. This gives huge and broad savings in terms of improving efficiency in water usage. “Dynamic” efficiency lies with the end-users’ behaviour pattern. There are also possibilities of reusing and recycling wastewater within a facility or in other non-potable demand areas. We tap the resources and optimise utilisation! Rainwater harvesting is another solution to substitute water usage. If we use more rainwater while maintaining our treated water use, it is equivalent to increasing our per capita water footprint and we will not be efficient. WITHOUT a doubt, our education system had been given a makeover with the advancement of technology. The dilemma of how best to leverage technology to improve learning and produce a competent workforce is prevalent in institutions of higher learning to meet the national agenda. Higher education systems worldwide are going through the same paradigm shift in view of the changing needs of students, expectations of society and the ever-evolving technology. It has been predicted that most jobs today would be taken over by digitalisation and virtual mobility. Employers’ expectations of employees have moved towards technology-savvy communication skills, which, in turn, demand higher learning institutions to provide such skills in graduates. Clayton Christensen, Curtis W. Johnson and Michael B. Horn in their book, Disrupting Classroom: How Disruptive Innovation will Change the Way the World Learns, highlighted the important principles of futuristic learning, including customised learning for students, computer technology in student-centric classrooms, disruptive innovations to overcome learning roadblocks and competing in a global classroom. These new approaches are unheard of in traditional classrooms. Thus, revamping our education system to achieve such goals so that learners become global players has become the Federal Government’s priority, as seen in the scope and depth of the Education Blueprint for Higher Education 2015-2025 in relation to the Fourth Industrial Revolution and the Education 4.0 Framework. In the few years of its implementation, transformation has taken shape and students are becoming accustomed to learning through technology-based systems, such as blended learning, Malaysian Open Online Courses and other online learning systems. Last week, UiTM Johor launched its first digitalised international invention, innovation and design competition. This brings innovation competitions, currently held via exhibition booths, to a higher level as they will be held online. All that is required is the uploading of a three-minute video of the product demonstration. The competition claims to be the first of its kind in Malaysia. It is open to international and local participants in the professional, tertiary and school levels. The competition, launched on April 19, will end on July 1. Enquiries can be made at http://iiidjohor.my. Going digital and transforming education, however, does mean that current jobs may soon become irrelevant to pave the way for new tech jobs. By Associate Professor Dr Soo Kum Yoke. THE Fourth Industrial Revolution (4IR) represents new ways in which disruptive technologies are embedded in our daily experience. This has emphasised the need to redesign the education system and transform the learning and teaching delivery, as well as demanding the industry sectors to enhance, reskill and upscale talents. Experiential learning, future-ready curriculum, and life-long learning mindset are critical elements in uplifting graduates’ skills and attributes to thrive in the gig economy world. Hence, talent planning is critical to ensure Malaysia’s preparation in producing talents and graduates who are agile and adaptive to the changing demands of 4IR. Looking at the importance of 4IR, the Higher Education Ministry recently launched a book, Framing Malaysian Higher Education 4.0: Future-Proof Talents, by its minister, Datuk Seri Idris Jusoh. The book provides background information on 4IR, its impacts and challenges, the current scenario and future alternatives in redesigning Malaysian higher education. The basis of this book is to produce ethically and morally upright citizens who are spiritually grounded and caring to cope with the demands of 4IR. Regardless of technology advancement and changes, graduates will be prepared to overcome disruptive innovation through life-long learning, which creates the opportunities to learn, unlearn and relearn. Idris said Malaysian graduates had to possess strong positive values and be work-ready to stay ahead in the global marketplace and contribute to global wellbeing. “The book encapsulates the way forward for the higher education sector in adapting to the ever-changing demands of higher education. “It frames four foci (focal point), 15 approaches with detailed initiatives, three future-proof attributes and nine Malaysian future-proof skill sets in unlocking the Malaysia Education Blueprint 2015-2025 (Higher Education),” Idris said at the launch of the book, in conjunction with the 22nd Malaysian Education Summit at Sunway Resort Hotel in Petaling Jaya. The focal points mentioned in the book are future-ready curriculum, agile governance, research and innovation, and talent planning. “The ministry needs to play its role as a catalyst by focusing on pro-active skills transformation, both in the educational system and workplace, as well as emphasising the role of the younger generation in the future,” he added. The book contains guidelines, strategies and aspirations for public universities and private institutions in meeting the demands of 4IR. It was developed through collaborative and consultative processes with various stakeholders who underwent numerous programmes, workshops and meetings involving more than 10,000 individuals comprising public and private university leaders, administrators, academics, students and industry players. The book is based on the Malaysia Education Blueprint 2015-2025 (Higher Education) and the initiatives, such as the integrated cumulative grade point average (iCGPA) and work-based learning programme (2U2I), in redesigning Malaysian higher education landscape that are aligned with the vision and mission of the ministry. Over the years, the delivery of Malaysian Higher Education Programmes (MyHE) had transformed significantly. MyHE 4.0 promotes student diversification of roles as curators of knowledge, content producers, connection-makers ― the web as the open global curriculum and educators as the resource guide. In this book, it is stated that MyHE 4.0 emphasises higher order thinking skills than the lower order thinking skills. The cognitive domain drives the goals of the learning process, where learners are expected to acquire new skills, knowledge and attitude, as well as construct their own new knowledge. Learners should actively contextualise and produce data instead of only acquiring it. They need to be able to generate knowledge based on personal experiences and environmental participation. It is imperative that the higher education ecosystem put into place the right education, networks of people and infrastructure to enable better management of the impact. Therefore, Malaysian higher education institutions must play their role in producing future-proof graduates tailored and prepared for immersive education, which combines the virtual world, simulators, learning games and sophisticated digital media. One of the lead authors of the book, Higher Education Department director-general Datin Paduka Dr Siti Hamisah Tapsir, said life-long learning must be embraced by all students through reskilling and upskilling opportunities. “We need to equip our graduates with future-proof skill sets by harnessing their humanistic, technological and data analytics competencies in embracing 4IR,” she said. “4IR is radically changing the landscapes of higher learning institutions all over the world and Malaysia is no exception. “Most of the challenges and opportunities of 4IR are moving at a high speed. For example, data science is now the key pre-requisite of knowledge in automation and big data analytics. “It also provides the background in the understanding of how cyberspace will become obsolete. The book also identifies that there are three clusters of 4IR challenges facing the higher education sector. The first challenge relates to institutional awareness and readiness. SIDMA College jointly organised a “Let’s Read Together for 10 Minutes”. More than 300 staff and students of SIDMA College UNITAR Sabah participated in the Let’s Read Together for 10 Minutes programme namely “Jom Baca Bersama Untuk 10 Minit”. The SIDMA College event which was organised by Madam Badrinah Suhaimin, (Head, SIDMA College Resource Centre) at SIDMA Atrium on 24 April 2018, beginning at 11.00 – 11.10 am. Other than at SIDMA Atrium, students were also seen reading at the library, tutorial or lecture rooms, and some were seen reading at cafes; quite a common sight among institutions of higher learning students. The highlight of the event was when everybody at the atrium read something “solid” from books for the said 10 minutes. The event which was a special joint initiative organised by the Sabah State Library, Sabah Education Department, SIDMA College Sabah, Badan Bahasa dan Sastera Sabah, Universiti Malaysia Sabah, University Technology MARA, Institute Pendidikan Guru, Kinabalu Polytechnic, Amminudin Baki Institute, Tun Haji Mohd Fuad Stephens Borneo Research Library and INTI College. The state-level programme was launched at the Sabah State Library on 24 April 2018 where participants read silently for 10 minutes from 11.00 am to 11.10 am; and was conducted simultaneously throughout the country; with a primarily aim of promoting reading among Malaysian citizens. It was also an annual event held in conjunction of this year’s World Book Day and World Copyright Programme, an event to further instil an interest in reading among the general public, thus enabling them to open up new horizon for advancement in life. According to Madam Badrinah, statistics based on the books borrowed from SIDMA Library has been quite small, which might indicate that reading physical book habit among the students is still low. However, this does not into account on the great number of students reading electronic platform as SIDMA College implemented blended learning. Other than that SIDMA College UNITAR Sabah students were also encouraged to read related academic journals. Reading programme is also part of the library programme to encourage the reading culture and the sharing of new knowledge gained among the students. Those taking education courses (Bachelor Education, Bachelor and Diploma Early Childhood Education students) were reminded of a general lack of awareness on the importance for reading together with their students. Reading together with students is an important opportunity to improve their reading proficiency level. Teachers should also be a role model for reading to connect children with books. Dr Morni Hj Kambrie (Founder and Chairman SIDMA College), Madam Azlina Ngatimin (Director, Corporate Relations and Business Development), Madam Azizah Khalid Merican (CEO), Managers, Heads of Departments, lecturers and staff were seen continuing reading their favourite book. Some were even continuing their reading after the scheduled 10 minutes. According to Dr Morni, this is indeed a unique way of bringing people together. It is also a wonderful way to transport one’s mind into the imaginative and creative world. Life become much more interesting when there are new avenues to be explore. JUST earlier this month, the country was shocked by a suicide ­— a 20-year-old, a former Sijil Pelajaran Malaysia high achiever, jumped off a building in Seremban, Negri Sembilan. It was reported that the tertiary student had just transferred to Seremban from an education institution in Kedah in the hope of doing better in her studies at the new place. Apparently she could not deal with the pressure to excel in her studies and succumbed to depression. Students need to have rational expectations and a realistic perception of university life. From suicide bids to self-harm and sleeping disorders to no-show at lectures and exams, such behaviours seem to be increasingly common at universities. The niggling question in the public’s mind is: Why is this happening? Is this indicative of the state of mental wellness among students on campus and, if so, how can the problem be dealt with? 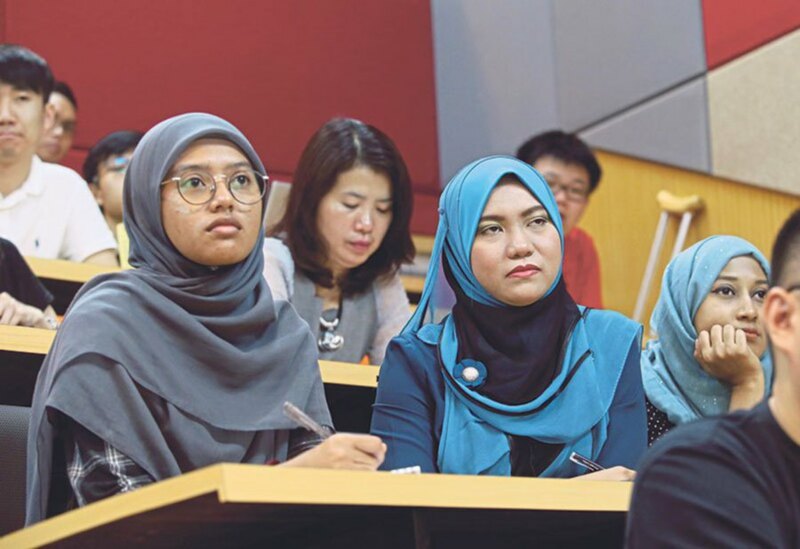 Universiti Putra Malaysia (UPM) counselling division senior counsellor Siti Fatimah Abdul Ghani said mental illness needs to be defined before delving into the issue. “Everyone experiences stress from time to time and this is normal. Mental illness, on the other hand, is any condition that makes it difficult to function in daily life. It can affect your relationships, your job or prevent you from reaching an otherwise attainable goal,” she added. If that sounds like a wide definition, Siti Fatimah said it is because the human mind is complex. A study by researchers from Universiti Kebangsaan Malaysia’s Department of Community Health, Department of Psychiatry and Department of Family Medicine published in the Asian Journal of Psychiatry in 2013 sought to assess the prevalence of depression, anxiety and stress, and identify their correlates among university students. It covered 506 students between the ages of 18 and 24 years from four universities in the Klang Valley, who answered an anonymous, self-administered questionnaire. Analysis showed among all the respondents, 27.5 per cent had moderate, and 9.7 per cent had severe or extremely severe depression; 34 per cent had moderate, and 29 per cent had severe or extremely severe anxiety; and 18.6 per cent had moderate and 5.1 per cent had severe or extremely severe stress scores based on the Depression Anxiety Stress Scale-21 inventory. Both depression and anxiety scores were significantly higher among older students (20 and above) and those born in rural areas. Stress scores were significantly higher among older students (20 and above), females, Malays and those whose family had either low or high incomes compared to those with middle incomes. The study concluded that the prevalence of anxiety is much higher than either depression or stress, with some differences in their correlates except for age. It was recommended that these differences be further explored for development of better intervention programmes and appropriate support services targeting this group. UPM Psychiatry Department head Associate Professor Dr Firdaus Mukhtar said, in general, undergraduates undergo challenges in managing their daily lives in a university environment. The changes experienced in transitioning from a secondary school student to an undergraduate may affect them in the biological, physical, spiritual and psychological aspects. Students who cannot manage the challenges — which can be due to high expectations, poor social support, lack of coping skills, financial and academic struggles, family factor and so on — may experience emotional distress. “Whether overseas or at local universities, there are no exceptions where students experiencing emotional turmoil — including mental disorders — are concerned. This distress may lead to other extreme conditions such depression, anxiety, trauma and more. Dr Firdaus added that everyone reacts differently to a new environment. “Adjustment is unique to each of us. The process of adjustment starts at the beginning of the semester after enrolment and when attending classes, making friends, moving into new accommodation, living far away from parents, and facing different attitudes of lecturers and the academic and university culture. “Therefore, it is important to expose students to mental health education such as stress management, emotion regulation programme and coping skills training for them to identify and be aware of the symptoms — stress and related illnesses — that may prevent them from functioning normally,” she said. Symptoms of mental health problems include difficulty in sleeping, lack of focus, inability to make decisions, lack of motivation, withdrawal from friends and activities, low self-esteem, sadness and fear for no reason. For serious cases that involve major psychiatric illnesses, a referral to psychiatrists and clinical psychologists is needed. In certain cases, those who have been diagnosed with learning or anxiety disorders may get certain exemptions or be allowed more time during examinations or submission of assignments. Dasar Kesihatan Negara provides that those who have been diagnosed with mental disorders should be given their rights just like others regardless of age, gender, religion or ethnicity. So, how best can students take preventive measures so as not to succumb to mental illness? Marian.E Arumugam, the head of Counselling and Psychological Services Centre and Health Services Centre at Taylor’s University, said students should take time to explore the university, understand the expectations of the programme, be confident to ask questions and find out as much information as possible on the programme they are interested in from course advisers and faculty staff on open days. “Time management is important: maintaining a sense of routine for self-care, studies and delivering the course work. Learn to manage and limit communication technology, as too much becomes a distraction and can isolate the student and interfere with academic performance. Keep socially engaged with peers. Be open-minded, accepting of individual differences and non-judgmental,” she said. Lee Siok Ping, director of Student LIFE at Sunway Education Group, underlined the importance of self-awareness and self-care. “Self-awareness is about having knowledge of one’s thoughts, feelings, coping mechanisms, preferences, skills and strengths. It is the ability to be aware of what is happening to oneself, what leads one to feel or think that way, and what can you do about it. “Meanwhile, self-care is being able to take care of one’s needs both on a daily basis as well as in a crisis. Many a time, students neglect to take care of their own needs such as making sure they eat proper meals, have enough time for leisure activities, sleep adequately and socialising regularly, when they are preoccupied with studies or when they are experiencing stressful life events,” she said. It is paramount that students take care of themselves especially during challenging times as it allows them to restore emotional energy which then boosts their capacity to deal with challenges more effectively. Dr Firdaus highlighted there are three roles that can help prevent mental illness during university life: students, family and the relevant authority at the institution. “Students need to have rational expectations and a realistic perception of university life and the courses that they sign up for. Join orientation week to get to know the university lifestyle, balance academic and non-academic activities, socialise with healthy peers and get in touch closely with the management of the university to improve personal, academic and career development. In line with the Malaysia Education Blueprint (MEB) 2013-2025 to produce young Malaysian graduates who are equipped to work in a globalised economy where English language is the international language of communication, but still preserve the proficiency in the use of a common national language (Bahasa Malaysia) in addition to the international language of communication, SIDMA College continues its effort to improve the English proficiency among its students. In trying to formulate a successful programme, and one that is as efficient as possible; SIDMA College Sabah, through the dynamic leadership of Dr Morni Hj Kambrie (Founder and Chairman, SIDMA College Sabah and Sarawak) and Madam Azizah Khalid Merican (CEO SIDMA Sabah) responded to MEB to produce bilingual efficiency among its graduates by expanding more opportunities for greater exposure to English among its needy students through a special English Enhancement Programme (EEP). The special EEP programme which was launched by Madam Azizah Khalid Merican on 14 February 2017 is another of SIDMA’s Corporate Social Responsibility (CSR) to provide a fully funded intensive English intervention course to students who are not fluent in their command of the language, in order to transform their Reading, Writing Listening, Speaking as well as their interpersonal communication skills to a greater level so that they can excel in their studies and for their future need. According to Madam Jenifah Abdullah, the key module writer and facilitator of the special 20 contact hours course; EEP is indeed a very pragmatic programme, aimed at providing equity to students who are less proficient in their English language through a blended and immersive learning model, including the use of traditional face-to-face teaching, information technology, newspapers, inquiry technique, group discussion, presentation and more, through both formal and informal setting, in their pursuit of being excellent in their English Language mastery. During a special certificate presentation ceremony for the 83 students from among the February 2018 intake of new students, Dr Morni congratulated the students for their excellent usage of the language and their excellent performances during the function. He also reminded the students that learning to speak a new language is an art skills, and students got to continue using it in order to master it. Dr Morni also shared his successful stories of how he learned to speak English when he was studying in England, and advised the students not to be afraid of making mistakes and being laughed at by their friends when wrongly used. Of the total 83 SIDMA College and UNITAR Sabah Semester February 2018 new students who received their certificate of completion of the English Enhancement Programme, 13 of them also received their Certificate of Excellence for exhibiting outstanding performance throughout the programme. Among some of the SIDMA Board of Management who witnessed the event were Madam Azlina Ngatimin Director of Corporate Relations and Business Development, Madam Azizah, Mr Louis Jais (Academic Manager) and Student Representative, Sofiansyah Bin Maaruf. Sofiansyah in representing his batch of colleague as the participant of the programme in his thank you address, congratulated Dr Morni, Madam Azizah and SIDMA College for providing them with the opportunities to attend this complimentary and unique programme to improve their mastery of English language. To extend their appreciation to the Management of the college, the students collectively sponsored door gifts for Dr Morni and to all the specially invited guests of the event. SIDMA College Sabah, since its establishment back in 2002 in Kota Kinabalu has prosper jubilantly over the year, and rapidly emerged as the first and largest regional centre in Malaysia running UNITAR programmes, in addition to its home grown academic programmes. Its infrastructure and technology can support the ambitions and goals of students who want to create a brighter tomorrow. Teaching methodology used are very students-focused and engaging and will bring out the best from each student. Because of that, SIDMA College aim to invite all students to strive to be the Champions of Change” and change is what drives us ALL to success. The following are the list of Academic Programmes offered at SIDMA College for its 2018/2019 Academic year. For more information about courses offered at SIDMA College, please browse SIDMA Website. Or like our Facebook Account – SIDMA College. Our June 2018 intake of new students is now in progress. Various financial assistance are available. Students interested in pursuing their tertiary studies with the college are encouraged to apply online by visiting SIDMA College Website or call our hotline number 088-732 000 or 088-732 020 or through fax 088-732 015 or 088-732 019. Potential students are also welcomed to visit us at SIDMA College UNITAR Sabah, Jalan Bundusan, 88300 KOTA KINABALU. SIDMA College UNITAR Sabah 2018 Second Staff gathering was held at SIDMA College UNITAR Sabah. For this session of the gathering, Black Team was entrusted to organise it which took place at SIDMA’s Atrium on the 20th of April 2018, and was led by Mr Rody Rodiley Tunai. Madam Bibiana Buayie, the emcee of the event, was also from the Black Team. The staff gathering started at around 9 am with staff registering and gathering according to the 4 participating teams, consisted of Green Team, Red Team, Blue Team and Yellow Team. Interestingly, all staffs regardless of their department or rank joined the gathering which was a combination of a formal and informal setting with games and activities being set-up at the end of it to enable all staff to mingle together outside their office setting and most importantly, to have fun and build closer bond among them. In his opening address at the gathering, Dr Morni Hj Kambrie (Founder and Chairman, SIDMA College UNITAR Sabah), extended his warmest wishes to every staff of SIDMA College who took the time to join the event as it was also an event to bring closer and together all of SIDMA staff from diverse background to a united SIDMA Community, to reflect as well as to consolidate the objectives, vision and mission of the college. Next, Dr Morni mentioned on the current economic situation that have affected 39 colleges last year, 2017, and expected to hit close to 100 colleges this year whereby the said colleges have to be closed down due to various reasons among other the low number of student and/or failing to meet the licensing requirement. Government on the other hand have recommended to the colleges to merge in order to gain the benefit of merging such as ability to penetrate into a new and larger market, improvise in fulfilling the student needs, better product development and most importantly boost the financial power of the colleges. However according to Dr Morni, merging will be difficult as it involves various challenges such as possibility of management style incompatibility, different goals and objectives as well as various other differences that may exist between the merging colleges where it must be ironed out prior to being legally merged. Due to that, for the time being, SIDMA College is leaning more towards joint venture and collaboration instead of merging with other colleges. Dr Morni also shared on the importance for top management of colleges particularly to the Board of Management of SIDMA College to assess signs from the industry so that they will be better prepared in facing any challenges as the sign could indicate various threats to the sustainability of the education sector such as drops in the number of student and others. Dr Morni also thrilled to announce that large number of poor students in SIDMA College Unitar Sabah managed to secure a one-off scholarship from Sabah Government amounting to RM950 for each of the successful applicant which will assist them in meeting their financial obligation and need. The scholarship is expected to be distributed in May 2018. As SIDMA College is determined to improve itself and move to the next level, Dr Morni as the Chairman of the College shared few tips on how every staff can contribute to its success. He reminded that each and every staff need to work hand in hand in meeting SIDMA’s Mission and Vision. It’s SIDMA’s culture to have a compulsory slot during any of SIDMA College’s Staff Gathering to have the Staffs’ birthday celebration, and in this particularly gathering, staff whose birthday is on the month of March and April are celebrated whereby March-born staff consisted of Soliam, Nadia, Nuriyathi, Shafrani, Izah, Felicity, Meili and Mudin and April-born staff involving Jessica, Arwin, Wasnyliah, Masrin, Vanessanur, Jaccielia, Esther, Fitri and Natasha were called to be together in “Birthday Cake Candle Blowing” ceremony in front of the stage to the tune of the “Happy Birthday” song sang by all the other staff before they cut the cake to be distributed equally. The Black Team, the organiser of this event, has arranged two (2) games to entertain and instil competitive spirit among the staff via activities such as “Find the French Suit” and “Centipede Run”; which saw the champion was a tie between Green Team and Blue Team; hence the tie-breaker was a “Street Dance” and “Rock–paper–scissors” activities which was participated by representatives from both teams amidst a fun loud cheering atmosphere. Overall the winner was Green team followed by the Blue Team as the first runner up. Yellow Team on the hand won the second runner up and Red Team only managed to get third runner up. However what matter the most is that all staff are very happy and in a way they have managed to channel their energy to build closer relationship regardless of rank and department. At the end of the gathering, high tea was served to all, and the event ended at around 11.30 a.m. Black Team extended their sincere thank you note, and congratulated all the staffs for their participation and openness to make the gathering a successful and fun event for all. Obesity among Asia-Pacific children is a growing health crisis, say researchers. Unhealthy diet: The rise in the consumption of processed foods, which often contain excess fats, salt and sugar, is one of the main contributors to the rapid rise in obesity among young people in Asia-Pacific. OBESITY rates among children in Asia-Pacific are rising at a rapid rate, and more action is needed to encourage healthier lifestyles and ease pressure on fledgling healthcare systems, researchers say. The number of overweight children under five rose 38% between 2000 and 2016 in the region, and the problem is growing, according to Sridhar Dharmapuri, a food safety and nutrition officer at the UN’s Food and Agriculture Organization (FAO) in Bangkok. “The rate of growth in obesity in Asia-Pacific is higher than in many other countries,” Dharmapuri told the Thomson Reuters Foundation. “While the United States leads the way on obesity rates, the number of overweight children in Asia-Pacific is rising rapidly, and many countries in this region are now among the most health-threatened in the world. But the rapid rise in obesity among young people in Asia-Pacific is worrying because overweight children are at higher risk of becoming obese as adults and then developing serious health problems like Type 2 diabetes, high blood pressure and liver disease. Malaysia, Indonesia, Singapore and Thailand are among the most overweight countries in South-East Asia, while Samoa, Tonga and Nauru are the most overweight in the Pacific. Australia also has high rates of obesity. Many of these nations are also struggling to tackle malnutrition among their citizens. The cost to the Asia-Pacific region of citizens being overweight or obese is US$166bil (RM646.2bil) a year, a recent report by the Asian Development Bank Institute (ADBI) said. Rising wealth levels over the last 20 years have played a major role in the rise in obesity levels, researchers say. “The region has undergone economic growth, so food has become available at a relatively cheaper price,” said Matthias Helble, an economist at ADBI in Tokyo. “For the last 20 years the economic growth has been almost uninterrupted,” said Helble, who has researched obesity levels in the region for three years. In addition to consuming more, as economies have grown, people in Asia-Pacific have moved away from farming into manufacturing, and then to service sector jobs – which are more sedentary. Cities in Asia-Pacific have also seen unprecedented growth over the last two decades; this year more than half the region’s population will for the first time be urban, the United Nations has estimated. City-dwellers in Asia-Pacific can spend hours commuting – due to poor transport systems and infrastructure – and when they finally reach home they have little time to cook. Many opt to eat out. This new lifestyle has caused a rise in the consumption of convenience and processed foods, which often contain excess fats and more salt and sugar. People in the region also struggle to maintain a balanced diet, said Dharmapuri, with meals often lacking vegetables. When people are overweight they often suffer from other health problems, economists said, and this is likely to put pressure on public healthcare systems that are only just being established in many Asia-Pacific nations. Absenteeism from work is also higher among obese people, said Helble, adding that overweight people often die earlier than those who lead healthy lives, so have a shorter productive life. “The term ‘obesogenic environment’ has been used to describe an environment that promotes obesity among individuals and populations,” Elizabeth Ingram of the Australian Institute of Health and Welfare – a government statistics agency – said by e-mail. Fixing the problem will likely take years, and researchers said a joint effort by business and governments was needed. Better labelling on foods to promote healthier options, education about healthier diets and lifestyles, and even healthier school meals would improve the situation, analysts said. Sugar taxes, which have been introduced or are being discussed in the Philippines, Singapore and Indonesia, are also one way to change people’s mindset, said Helble. 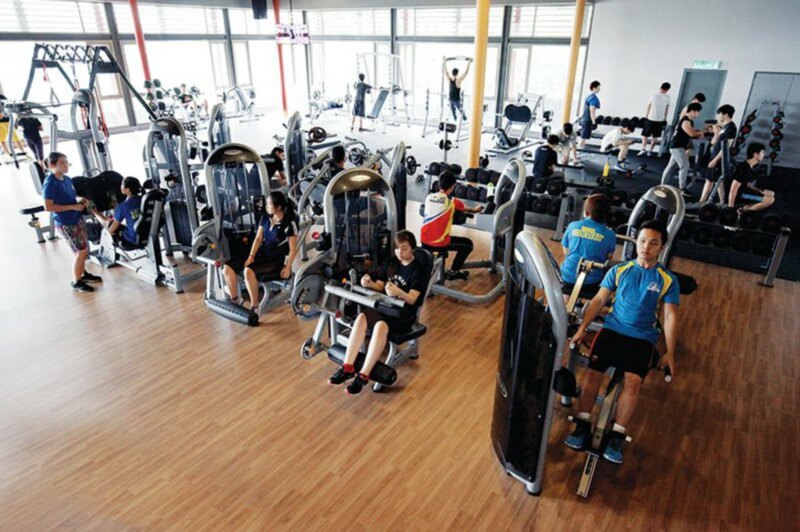 Building more sports facilities at schools and ensuring urban planners include recreational areas for cities and make them more walkable and less polluted, is also crucial. Governments must work with retailers, like in Singapore, to create a coordinated approach on packaging and promote a balanced diet, researchers said. Working with retailers to ban unhealthy and sweet foods from checkout areas, and pushing street vendors to switch from fried foods to healthier, more traditional options, are also key. And countries should adopt a “farm to fork” approach, which encourages farmers to diversify what they grow and be less reliant on growing just rice, said Dharmapuri. “In some Pacific island countries, it’s actually easier to buy soft drinks and processed foods than buy fruits and vegetables,” he added. SAVING the environment is easier than we think. You can do your part by changing your habits. We can cut down on our energy and water usage, and change our eating habits to conserve natural resources. We can redesign our homes to be more environment-friendly. Once you’ve changed your lifestyle to be environment-friendly, you can educate others to do the same. Start with switching off household appliances that are not in use, such as lights, televisions, computers and printers. Leaving devices, such as laptop chargers and toasters, plugged in can take up “phantom” energy. Even when an appliance is turned off, it still uses power because the applications in the appliance use electricity. It is best to unplug appliances that you do not anticipate using in the next 36 hours, or more. Trade in your dryer for a good, old-fashioned clothesline. Air drying leaves your clothes smelling fresh and is environmental-friendly. Tumble dryers are among the biggest energy users in households, after the refrigerator and air-conditioner. If you use a dryer, keep the vent clear for safety, as well as energy efficiency. When using a washing machine, make sure you have a full load of clothes. Do not put a couple of dirty clothes into the washing machine as it will not help to conserve water and electricity. You can hand wash clothes in the sink or buy an energy-efficient washing machine that doesn’t use a lot of water. Run your air-conditioner sparingly. Air-conditioners use a great deal of electricity. Use natural ventilation or a fan to keep cool as much as possible. If you do use an air-conditioner, set it to a slightly lower temperature than the outdoor temperature. Remember that setting the temperature lower means using more electricity. Conserve water. The average family of four uses about 1,500 litres of water every day. Make conscious choices to reduce your water consumption. Turn off the faucet while you brush your teeth. Install low-flow faucets (taps) or aerators, low-flow shower heads and low-flush toilets. If you hand wash your car, park it on your lawn and use buckets and sponges. Use the hose to rinse. Use a hose nozzle to stop the water flow or turn the nozzle off between rinses. If possible, use eco-friendly detergent. Most of us are aware of the benefits of recycling. In these times, it’s good to save some money. Recycling used materials like aluminium cans or glass bottles is a great way to cultivate the recycling culture in the home as it brings long-term benefits. To encourage people to recycle, the government and independent organisations have introduced various programmes. Besides organising your garbage and recycling glass, metal or paper, there are many ways to contribute to the cause. You are currently browsing the www.Teo-Education.Com blog archives for April, 2018.